We’ll Beat Any Quote by 25%! 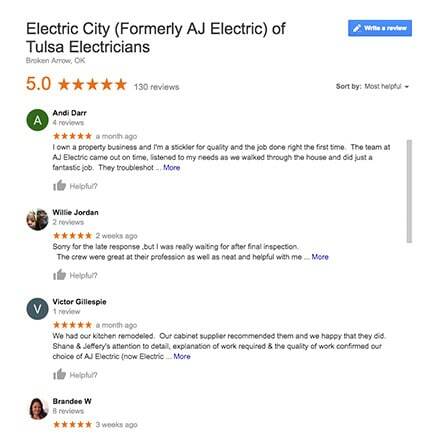 Electric city is setting a new standard for the electrical industry across Oklahoma. We firmly believe that you shouldn’t break the bank for the highest quality service. Our passion is to serve our customers by being on time, doing the job right the first time, and charging a fair price. Give us a call today to experience the Electric City difference.